Making a welcome return to the West End this summer is the delightful (and just a little scary) tale of everyone’s favourite monster, The Gruffalo, which will play from 3rd July at the Lyric Theatre. 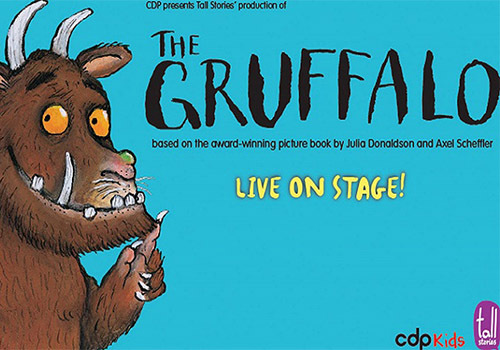 In a charming adaptation of the award-winning children’s book by Julia Donaldson with illustrations by Axel Scheffler, The Gruffalo is brought to life on stage by theatre company Tall Stories, who have transformed it into a high-energy hour-long show. It has previously been performed at the Vaudeville Theatre, in past years at the Lyric Theatre and to millions across the globe. The Gruffalo also happens to be a hit television animation featuring the voices of James Corden, Helena Bonham-Carter and Robbie Coltrane. Following the adventures of brave Mouse who embarks on a quest for food through the deep, dark forest, we encounter a range of different characters; from a sneaky fox to an eccentric owl and a slithering snake. When these hungry woodland creatures pop up on her path, Mouse manages to outwit them all with stories of the fearsome Gruffalo. But one thing's for sure: Mouse never expected to actually come face to face with the mythical beast herself! With a joyous tapestry of songs, laughs, fun and physical theatre, The Gruffalo is just the ticket for introducing theatre to primary school children. There are ample opportunities to interact with actors and let imaginations run wild! Playing at the Lyric Theatre from 3rd July to 8th September 2019, The Gruffalo is a family-friendly wonder that is sure to delight and entertain audiences. A family-friendly show, The Gruffalo is aimed at children aged 3 and up. Babes in arms tickets for children up to 18 months can be obtained from the box office on the day of each performance.